and pigs by the half or whole. Please Note: We will no longer be processing wild game. Mobile slaughter services for your convenience. 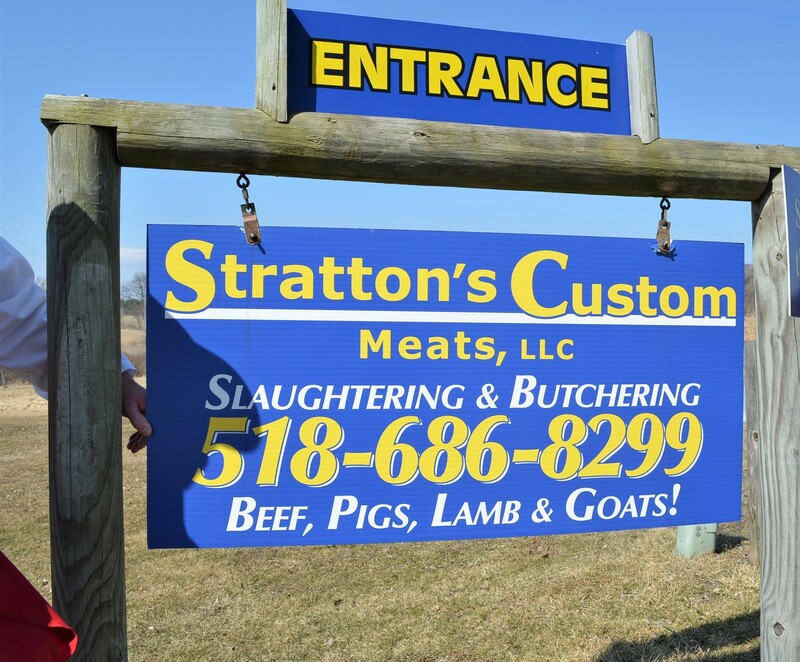 At Stratton’s Custom Meats, we process domestic animals such as Beef, Pigs, Sheep, & Goats. All domestic animals are slaughtered at the customer’s site using our mobile slaughter truck. The customer is responsible for site cleanup and disposal of the animals remains. We then bring the carcass back to our meat processing facility where it is weighed and tagged with the customer’s name and put in our walk in coolers until it is ready for processing. After processing every piece is scraped, vacuum packaged, labeled, frozen and boxed. Stratton’s Custom Meats does not accept credit cards. Proudly Serving Southern VT, the Berkshires of MA and the Albany, NY area, including the counties of Rensselaer, Washington, Saratoga, Albany, Columbia, Greene & Schoharie with Mobile Slaughter Service & Local Meat Processing Including Beef, Pork, Lamb, & Goat.